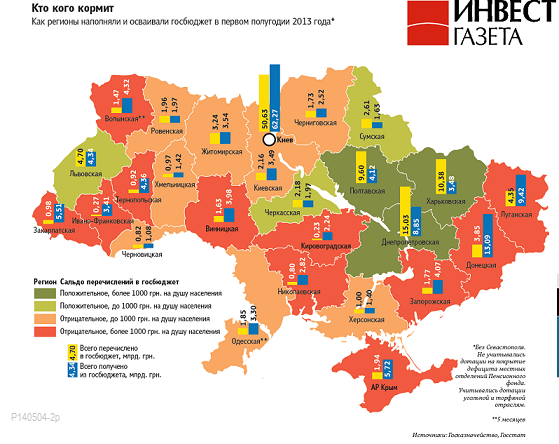 Ed Dolan's Econ Blog: How Big a Prize is Eastern Ukraine's Heavy Industry? How Big a Prize is Eastern Ukraine's Heavy Industry? Others view Eastern Ukraine’s heavy industry as more of a liability than a prize, and see the current conflict as a geopolitical one that can have no good outcome for the population. Speaking to a reporter from The Guardian, coal miner Igor Yefremov expressed his fear that “If we join the European Union our mines and factories will shut down.” At the same time, he acknowledged, “Already the orders from Russia are drying up. Russia doesn't want us because of the chaos in Kiev."